All ages and all types of talent are welcome to apply with no entry fee. The three categories of acts include, “vocalist,” “dance” and “other/specialty,” with all acts being limited to 2:30 minutes each. There is room for 20 acts. 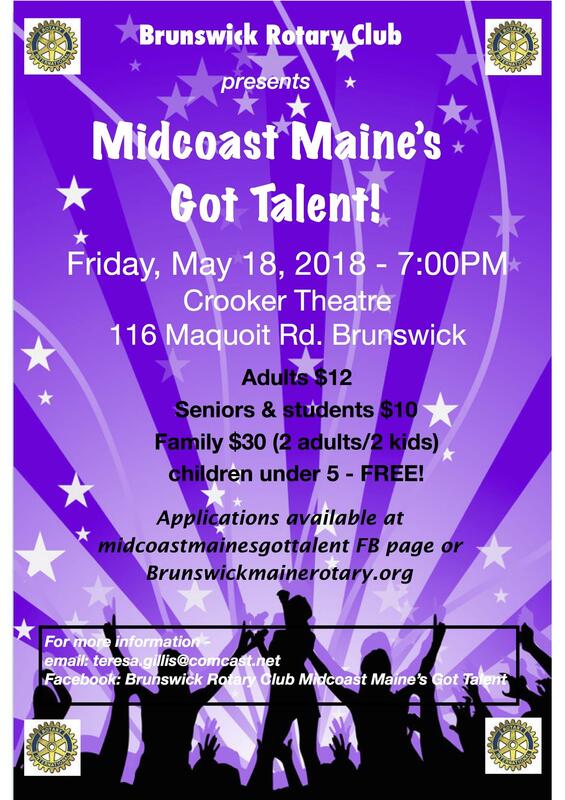 Featuring Curt Dale Clark, the artistic director of Maine State Music Theater, as the evening's emcee as well as the MSMT interns for an opening number, the show promises to be the best yet. Complete and application via Google Docs or download the application. Applications can also be found at the schools in Brunswick and SAD 75. Deadline for applications is April 16th. 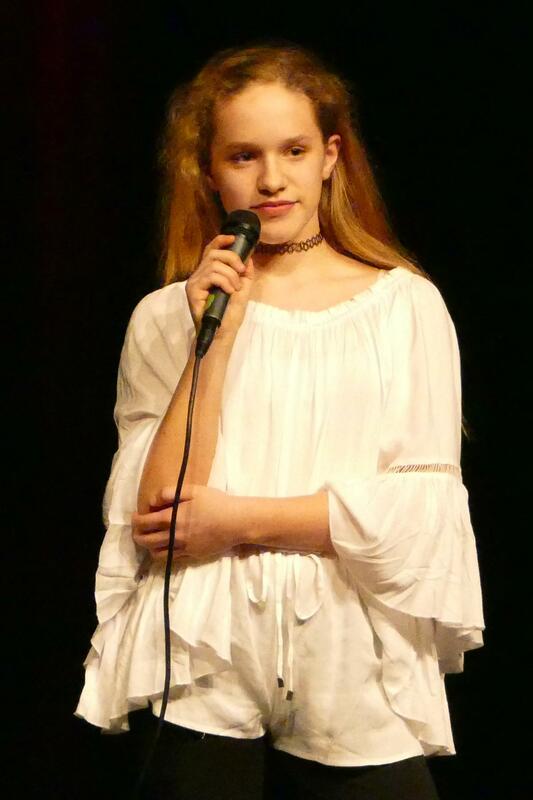 12 year old Vocalist Juliet Frizzle from Brunswick (pictured) was a featured singer last year and will return this year with an original song. 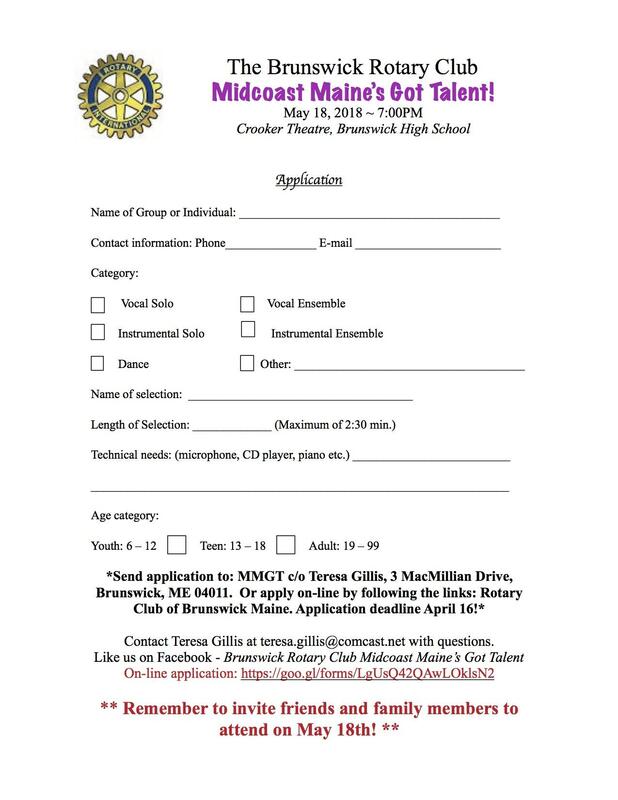 Proceeds benefit hundreds of area youth and families through the Brunswick Rotary Club Community Fund. The Brunswick Rotary participates in many local and international service projects and financially supports non-profit organizations that serve our community. Charitable donations have been provided to the Brunswick Teen Center, People Plus, the Swinging Bridge Fund, Midcoast Hunger Prevention Program, the Independence Association and various youth sports programs as well as funding Fourth of July on the Mall and the annual Bike Rodeo.